Inflatable Palm Tree. Create your own tropical paradise with this jumbo palm tree with faux coconuts! 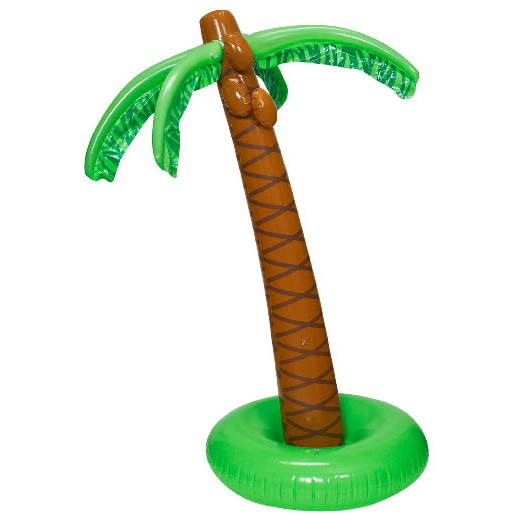 This vinyl palm tree is a must-have decoration for your luau and makes a fun addition to a beach party! You can almost feel the summer sun shining down from above this tree! We recommend using an automatic inflater on our jumbo inflates. Inflated, 29" x 66".